The 'cash me outside' teen returned to Dr. Phil to dish him a new meme-able insult. 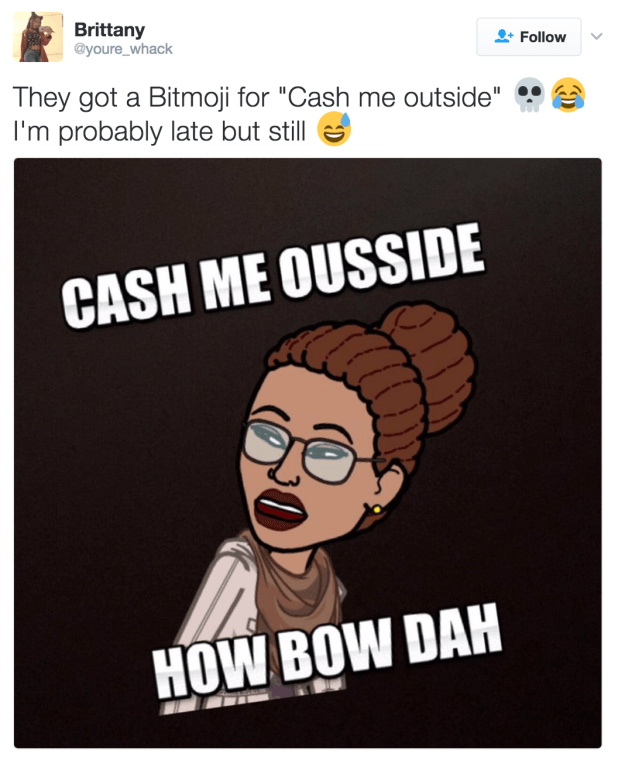 If you don't know the meaning of "cash me outside, how bow dah?" yet, then congratulations, you are not addicted to the internet. But for those of us who cannot pull ourselves away from the unpredictable cycle of meme culture, the strange, swift rise of the "cash me outside" girl was quite a sensation to behold. The back story is quite simple: A mom took her 13-year-old daughter on Dr. Phil because her daughter was acting out so badly, to the point where she was stealing cars. 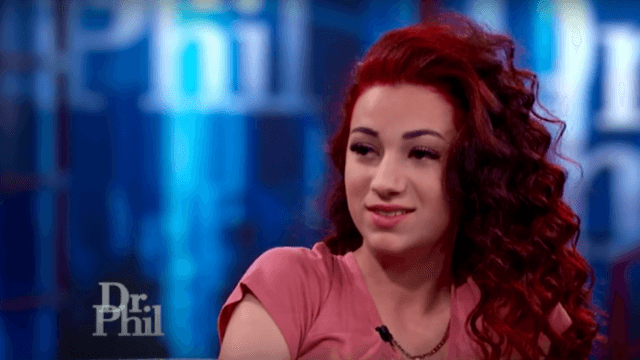 At one, point, her daughter, Danielle Bregoli, yells "cash me outside how bow dah?" which translates to "catch me outside, how about that?" without the strong accent she has developed. Naturally, everyone loved it. It's a pretty good retort to any situation. When Bregoli first went on the show to yell her catch phrase and unwittingly make herself an internet star, it was back in September 2016. But this week she returned to the show for some new insults and catch phrases, possibly ripe for the meme-ing, but then again, the internet is so hard to predict. When Dr. Phil McGraw asked Bregoli if she thought the attention she'd been receiving was good or bad, se replied, "I guess what’s good for you is I made you just like how Oprah made you," and then added, "You were nothin’ before I came on this show. "Well, it seems a little long to be turned into a meme. But it's still a pretty rude roast. And while there seems to be some grain of truth to the fact that Bregoli made Dr. Phil's popularity spike (I'm not sure teens even knew the name of the show before the meme), it also brings up the question: is Dr. Phil complicit in making this young teenager into something, too? And is this fame bad for her? Dr. Phil came been under fire recently for what seemed to be an exploitative interview with Shelley Duvall, and some have even called for her boycott for taking advantage of unstable people. Now we see Bregoli returning and seeming to be an even more difficult child than previously. She was even featured in a low-budget music video, which can only spell T-R-O-U-B-L-E for a mother of an unruly teen. Maybe meme culture created a monster. It wouldn't be the first.